As its tenth anniversary commemoration is just around the corner, and after a long history of recognition, Siam Park has made history again by pulling off an unprecedented achievement. For the fifth consecutive year, TripAdvisor has awarded them the Travellers’ Choice Award for the Best Waterpark in the World thanks to the positive feedback from visitors, demonstrating that the success of its management lies in a perfect balance of quality, innovation and excellence. In fact, this combination has put it in a dominant position: Not only is it the only park to have won this award so many times in a row, but it’s also the only one to have received it since TripAdvisor inaugurated the ‘waterparks’ category five years ago. The Loro Parque Company, to which this water attractions theme park belongs, has highlighted the special honour that this recognition represents, granted as it is by visitors to the Park and users of the TripAdvisor travel portal based on their independent opinions founded on their experiences. Blanca Zayas, Communications Director at TripAdvisor Spain, affirmed “Siam Park has achieved what no other theme park in the world has achieved: to position itself as the best waterpark for the fifth consecutive year in the TripAdvisor Travellers’ Choice Awards, an honour that gives us a great reason for pride here in Spain. She added that “positioning itself as number one for so many years in a row is a quality seal recognised by users around the world and will undoubtedly open more doors to both national and international tourism”. The news, received with great joy, comes in the middle of the presentation and opening of two new attractions. 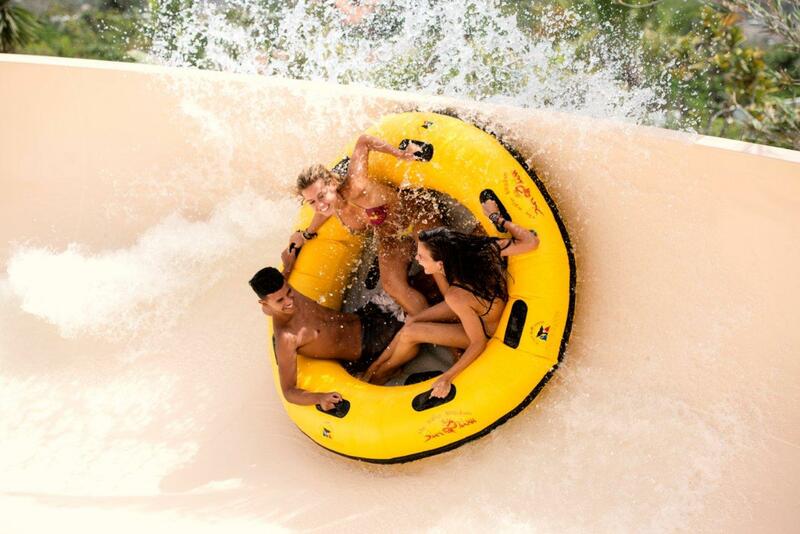 Patong Rapids is a new Siam Park challenge that breaks with all the moulds, surpassing the already incredible Mekong Rapids. It runs over a 235 metre course and includes an area of complete darkness. With a capacity of 1,200 people per hour, it minimises waiting time to enable Park visitors to enjoy its incredible switchback curves to the limit, and includes impressive disc floats that allow you to experience a unique feeling of speed and adrenaline. Coco Beach is a new children’s playground that will allow youngsters to experience great adventures with their families. You will be able to enjoy new and incredible sensations in the new over 1,000 m2 wave pool, suitable for the younger members of the house, simulating the famous ruins of Angkor Wat. These new attractions, along with other surprises that are yet to come, will offer visitors adrenaline and fun in equal parts, and will attract audiences of all ages, expanding an offer that its users have distinguished as the best in the world. Siam Park rigorously follows a totally environmentally friendly philosophy, employing the latest technological developments in every detail. Thus, the water that feeds the Park is part of a closed circuit that begins at sea, and the CO2=0 formula is applied, which means that local products are mainly used in the restaurants and cafeterias, thus minimising the carbon footprint associated with the transport of imported products. This commitment to the environment has earned Siam Park the Biosphere Park certificate from the UNESCO-linked Institute for Responsible Tourism (ITR), which accredits their responsibility towards the environment, in addition to the ISO 14000, ISO 9000 and EMAS certificates. 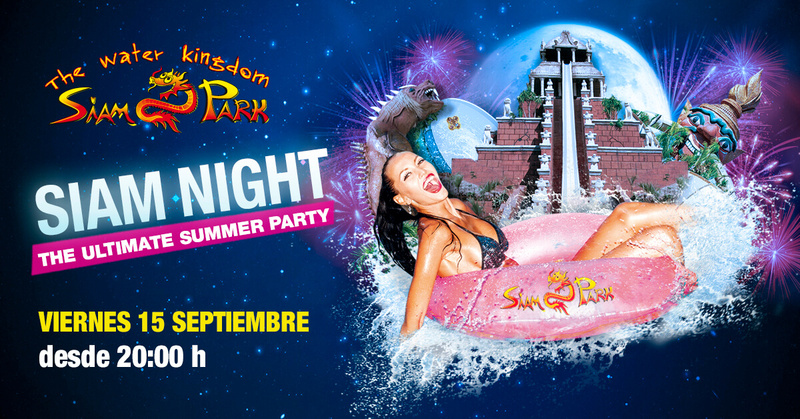 As summer kicks off, Siam Park is getting ready to start its long-awaited ‘Siam Nights’ – evenings of real fun under the full moon during the months of July and August. It begins next Friday, June 29th, and will then take place every Friday and Saturday from 8pm until midnight. ‘Siam Nights’ has proved to be a success in previous editions thanks to an attractive and very refreshing proposal that has made tens of thousands of young people and entire families enjoy, in a most unique way, the unbeatable attractions, the best ‘chill out’ rhythms provided by a DJ, a buffet on the white sand beach and the best summer atmosphere. Under the stars, the most daring can try the spectacular experience of Singha, the fastest and most impressive roller coaster ride on the planet. With a course of more than 240 metres and 14 changes of direction, it’s a pioneering attraction, never before seen in other water parks. You also won’t want to miss the Tower of Power, which is 28 metres high and has an almost vertical slope that gives the sensation of a free fall. In addition, there will be time for relaxation and the family on Siam Beach, the most paradisiacal beach in the Canary Islands, which has the largest artificial wave in the world; or in a slow tropical ride on the Mai Thai River, which crosses the heart of the Park and gently lifts you to a height of eight metres, where you can enjoy the most beautiful views of the Park’s waterfalls, lush gardens and a spectacular aquarium. Through this initiative, Siam Park enriches the Islands’ tourist appeal by enhancing the complementary offer and demonstrating how tourist facilities can improve the competitiveness of a destination. Inaugurated in 2008, this ‘Water Kingdom’ has been named the best water park in the world by TripAdvisor for four consecutive years and, throughout its history, has been awarded numerous distinctions for its commitment to innovation and excellence – the hallmark of the Loro Parque Company. 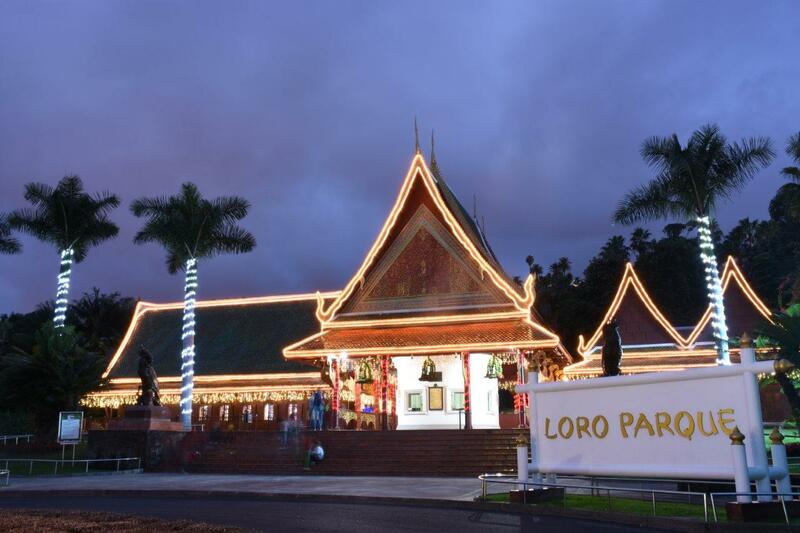 Loro Parque, Siam Park and Poema del Mar will turn off their exterior lights this Saturday, 24th March, from 8:30 p.m. to 9:30 p.m. The Loro Parque company will turn off the lights this Saturday, 24th March, in support of the ‘Earth Hour’, an initiative by the World Wildlife Fund (WWF). 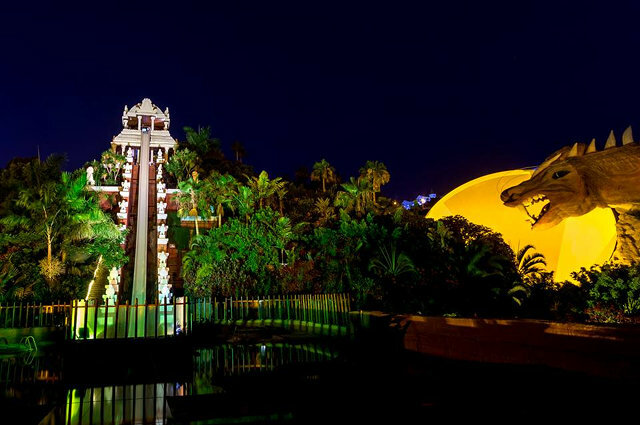 All three parks, Loro Parque, Siam Park and Poema del Mar, will be switching their exterior lights off between 8:30 pm and 9:30 pm in order to support the efforts of raising awareness about the climate change and its negative effect on the biodiversity, a cause with which a company has a firm commitment. According to the WWF, this campaign goes beyond a symbolic act of turning off the lights during one hour. Over the time, it has turned into a major global movement to address a problem that affects every one of us: the climate change. Since the start of the ‘Earth Hour’ in Sydney in 2007, thousands of cities and towns have turned their lights off in solidarity with the initiative. At the same time, social networks lit up in an effort to encourage all the governments around the world to take active political measures regarding the energy issue. The Loro Parque company maintains a strong commitment with the protection of the biodiversity and, for that reason, it implements through Loro Parque Fundación numerous environmental projects around the world. From the energy saving perspective, one of the main company initiatives was a creation of its own photovoltaic plant, which allows to reduce emitting of more than 2 000 tons of CO2 into the atmosphere every year (which is equivalent to the emission from about 800 cars). The climate change is a complex problem and one of its most dramatic effects is the loss of biodiversity. This serves as the principal reason for the company to join to the ‘Earth Hour’ initiative and, thus, reinforce its own efforts realized on a daily basis: raising awareness about this problem and encouraging the public to support the investigation work for the preservation of the environment. 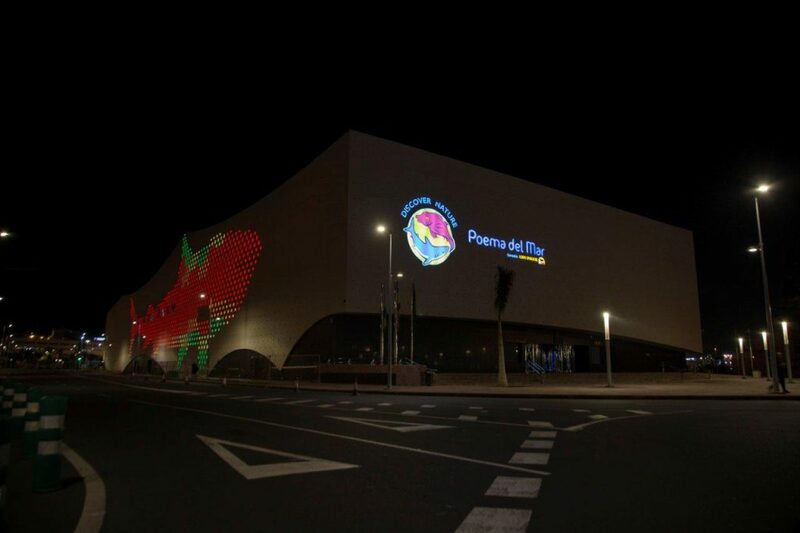 In addition to turning off the lights, Loro Parque, Siam Park and Poema del Mar, through their respective social network profiles will be encouraging the public to join this initiative, in order to achieve a bigger impact in an effort the situation on our Planet. One year more, the Canary Islands are making a new record as far as the numbers of the visitors are concerned, and Siam Park is following the same pattern. In 2017, the Park has registered historical numbers in attendance, breaking a new annual record with more than 1.2 million visitors. Statistics for this year show 20% growth as compared to 2016, reaching more than 7.3 million visitors who have enjoyed the water park since its opening in 2008. In 2016, Siam Park obtained the 5th place in attendance among the top 10 water parks in Europe, the Middle East, and Africa. It was also the year when the water park reached its first 1 million visitors in a year, having demonstrated a 15.6% growth in attendance as comparted to 2015. Thus, Siam Park has one again reinforced its position as the top leisure option in the Canary Islands on a regional and international level, as this year the water park has been named Best Water Park in the World by TripAdvisor for the fourth consecutive year, as well as best water park in Europe (through obtaining the European Star Award 6 years in a row). Looking ahead, 2018 is promising to a big year for Siam Park as the park will be celebrating its 10th anniversary with new attractions and surprises for visitors of all ages. 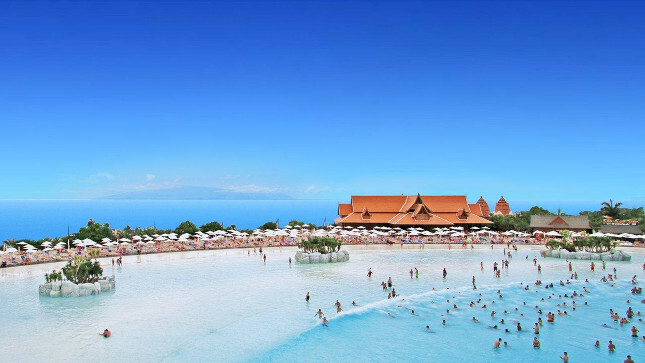 Siam Park has taken into consideration all the suggestions received, specially from families, and it will be continuing to develop new projects to ensure that everyone can live the best experience possible in this authentic Water Kingdom. 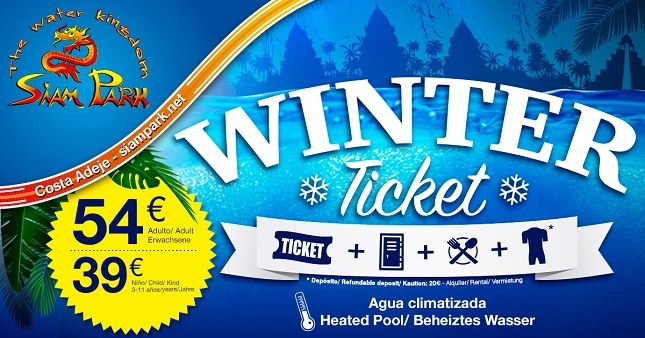 Winter is coming with an incredible offer! Come and enjoy Siam Park with our special package including a locker, a lunch and a neoprene suit. Siam Park has been awarded with the European Star Award for the ‘Best Aquatic Park in Europe’ for the sixth consecutive year, this award is given annually by Kirmes & Park Revue, the leading publication and benchmark in the valuation of theme parks. The ceremony, organized by the International Association of Amusement Parks and Attractions (IAAPA), took place in Berlin, in the framework of the European fair of attractions, Euro Attractions Show 2017, which is being held these days in the German capital. Two of the park’s star attractions have also received great recognition, entering the European Top 10 list. The spectacular Singha, a pioneer water-roller coaster, with its 240-meter length, 14 changes of direction and innovative water propulsion design, has won the ‘2nd Best Attraction in Europe Award’ and Kinnaree mega-slide took the 6th place. 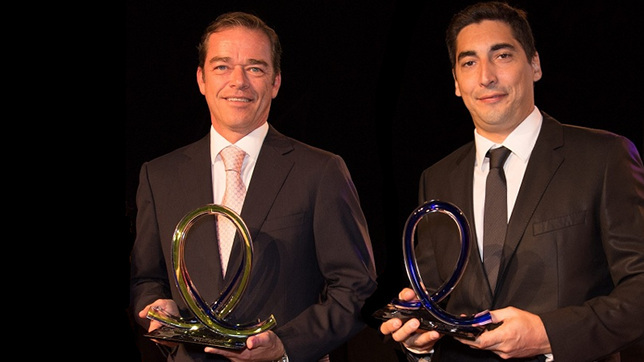 The Park’s Director Christoph Kiessling received the awards in person and thanked the recognition, reinforcing the work of the entire team that makes it possible for Siam Park to maintain all its quality standards at the highest level year after year. 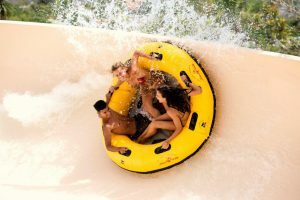 “Singha and Kinnaree are two clear examples of the success of investment in innovation and excellence, and we’ll stick to this guideline in the new water park that we are going to open on the island of Gran Canaria. Our goal is to continue growing and offering the best leisure offer”. These prizes are the most important at European level within the entertainment industry, and the jury, made up of an independent team of experts, has distinguished those parks that have excelled exceptionally for their achievements in matters such as innovation or the enterprise. 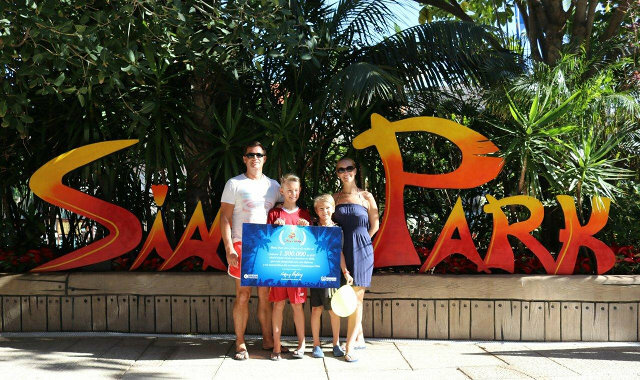 This award is followed by the Travelers’ Choice Award, awarded by TripAdvisor this summer, in which Siam Park was awarded The Nr.1 Waterpark in the World for the fourth consecutive year. “The Ultimate Summer Party” is what is called the great party that is being organized at Siam Park to celebrate nine years of fun offered by the No. 1 Water Park in the World to its visitors since its opening in 2008. The celebration will take place on Friday, September 15, starting at 8:00 p.m. This party will be a great golden medal for the closing of the magnificent season experienced this year in the second edition of Siam Night, with more than 25,000 participants since its beginning past July. Without them, without the more than 7 million people who have visited us since our inauguration and without all the followers and repeaters who join us year after year sharing their experiences through our social networks, we wouldn’t have become what we are today, the number one Water Park in the World, thanks to the “Travelers’ Choice Award” awarded by TripAdvisor, which we received for the fourth year in a row. Siam Night says goodbye until next summer with a very special event in which all the attendants with their usual entrance can have fun as never before: Live music by the DJ’s 2-Robles and Le Canarien, welcome cocktail, special offers on drinks and many more surprises. 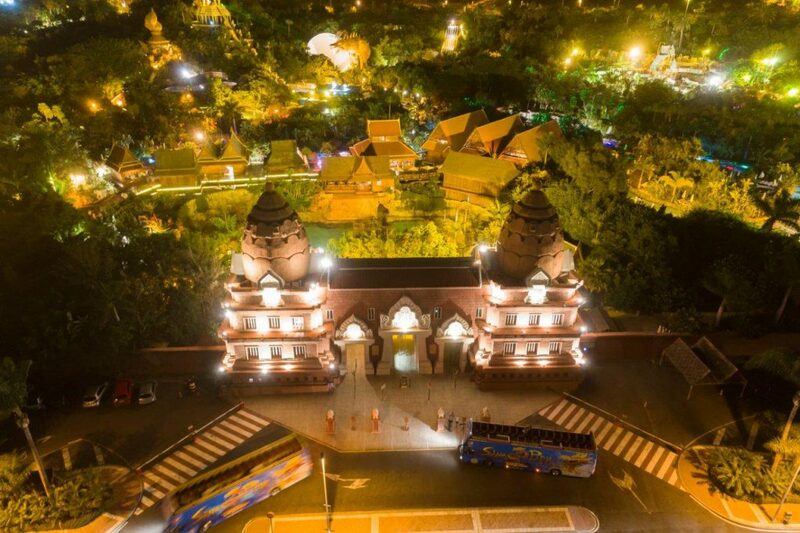 All this, in addition to the impressive attractions, lush vegetation and mysticism of the ancient Siam Kingdom that is recreated in the Park, will be the keys to make visitors feel like real stars. But we don’t stop. We want to continue growing and innovating to offer the best leisure option on the Canary Islands. The inauguration of a new exclusive area this year proves that we take these values seriously: The Champagne Club is meant for those who are looking for a haven of peace and relaxation between attraction and attraction, a place where you can enjoy fantastic Balinese beds with magnificent views, a bottle of champagne and many other premium services. There are also many international achievements and awards that we have gathered along the years and continue to be maintained thanks to the excellence of our facilities, the technological complexity and the environmental commitment of the Park; such as the European Star Award, awarded by the prestigious German theme park magazine Kirmes & Parks Revue to the “Best Water Theme Park in Europe”, which we receive year after year since 2012 or the award for “The Best European Water Slide” to our attraction Singha in 2015 and 2016, considered the most revolutionary “water coaster” in the world. We thank all our visitors and promise to continue to meet their expectations in the coming years. 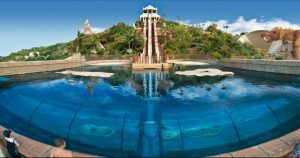 Siam Park celebrates a new awarded Travellers’ Choice 2016 Award which is presented to the park by Trip Advisor, a prestigious travel web portal, for the third consecutive year, as one of the best water parks in the world. The event was held at the most paradisiacal beach in the Canary Islands, Siam Beach and was presided by the President of Loro Parque and Siam Park, Wolfgang Kiessling; and the Vice President, Christoph Kiessling. Among the authorities in attendance were the Vice Counsellor of Tourism of the Canarian Government, Cristóbal de la Rosa, the Counsellor of Tourism of Tenerife’s Island Council, Alberto Bernabé, and the mayor of Adeje, José Miguel Rodríguez Fraga. Many representatives of the tourism sector of the Canary Islands as well as a large group of journalists from major national and international media also attended the event. Blanca Zayas, Director of Communication of TripAdvisor in Spain, presented the award to the Vice President of the Park, Christoph Kiessling, who said with emotion that it is a “an honor to Siam Park to receive the Travellers’ Choice Award of TripAdvisor for the third consecutive year – a recognition that is the result of teamwork”. In this regard, he expressed his satisfaction that “dedication to service and love for detail are recognised by visitors from around the world; we are extremely grateful and this award will encourage us to continue working with effort and enthusiasm for excellence every day”. Meanwhile, Wolfgang Kiessling also expressed his joy having received this distinction, which consolidates park’s leadership: Although I promised myself not to mention the word ‘pride’, the truth is that I feel very proud. This recognition is part of everyone and we are moving toward a truly strong and prestigious company thanks to the island of Tenerife”. In his speech, he also stressed that 98% of jobs are occupied by Canarians. The Vice Counsellour of Tourism of the Canary Government stressed the importance to win this meaningful recognition from TripAdvisor for the third time in a row. He also highlighted the huge impact Siam Park has for tourism in Tenerife and the Canary Islands overall. 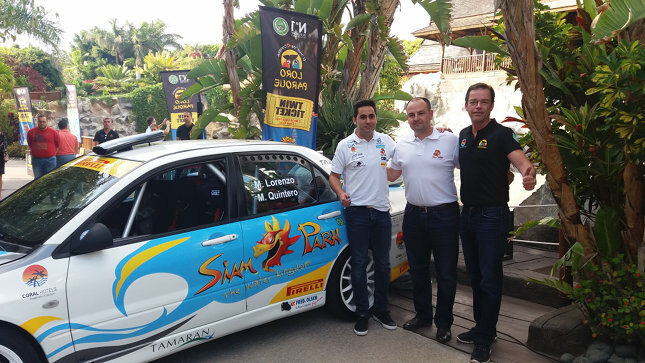 As a representative of the Council of Tenerife, Alberto Bernabé stressed that Siam Park is a true enjoyment for its visitors. That is the reason why tourists come back and others are curious to come to Tenerife. This experience ensures the visitors return home fully satisfied. “This sense of satisfaction is key of our common labour.” In addition, he confirms the excellence has become the trademark of the whole Loro Parque family. The mayor of Adeje congratulated, in his speech, the entire team of Siam Park and highlighted the huge effort and involvement of the Kiessling family in the community, by generating jobs in Adeje and its surrounding areas. About 200 people who attended the event enjoyed a lively cocktail where they could converse about the new gran achievement at Siam Park. Our facilities served as a platform for Marco Lorenzo and his presentation to the media on the start of the new season. The ML Racing pilot gives the go-ahead for the new season, featuring his improved car Mitsubishi Lancer EvoIX. Our commitment with this exciting sport is strengthened with each new opportunity. This event marks the accomplishment of ten seasons of our support to this team. During the period of sponsoring this project, we facilitated the growth of the team by trusting on the talent and sportsmanship of its members. The new co-driver of the ML Racing, Mario Quintero, was also present at the presentation that announced the insular and regional races. The insular race will take place in the following places among others: Villa de Teror, Gran Canaria, North of Tenerife, La Palma, Lanzarote, Villa de Granadilla and Rallysprint Atogo. We share the high expectations of the team and wish Marco Lorenzo to repeat similar successes as he reached in 2010 and 20122 when he gained the titles of a vice-champion and champion in 2011 of the insular race.